“Happy Birthday, Father.” Nichelle handed her father a toy with metal balls strung to a shining frame. The reflection of his face reflected off the metal balls and he brushed his fingers against the letters spelling his name: Leal. Nichelle rolled her eyes. The argument never changes, she thought. Aloud, she replied, “Just because my name means ‘maiden,’ this does not guide my fate.” She looked up to her father and their eyes locked. “It doesn’t guide your faith either,” she whispered. Nichelle looked away from her father, covering her mouth with her fist. Closing her eyes, she allowed her lips to part and her teeth to touch her fist. Leal waited, patiently. This argument was equally as old. Nichelle stepped to her father, wrapping her arms around his large frame. The scratchy fabric he wore felt familiar on her cheek. She inhaled deeply, taking in the smell of her father. A hug from Leal filled her with a sense of belonging. That sense filled her, emboldening her resolve. “Child,” Leal embraced his daughter at arm’s length, “sadness is not what I feel.” He wiped away her tear with his calloused thumb. “When you were gifted to your mother and I, we knew you’d be destined to do great things. We’d been told by the finest healers the empire had, we would not conceive.” He sat on a bench and pulled Nichelle down to sit next to him. “Tell me, Father.” She had heard the story many times, but she cherished it, for it was a tale of a mother she never knew. She rested her head on his shoulder. “What did she look like?” Nichelle whispered. Leal nodded, then realizing his daughter still leaned against his shoulder, whispered, “It is. I still dream of your mother and the dream is always the same.” Leal inhaled deeply, held his breath and let it out. His body shuddered. He turned away from Nichelle, hiding his sobs. Nichelle waits, mute. This time, he tells the story differently than he ever has before. “What happened?” she asked after the longest silence she had ever experienced. Nichelle smiled and leaned back against the rough-hewn wall. Leal smiled widely. “See to your brother and sister.” When Nichelle nodded, he stepped through the door and into a ruined world. 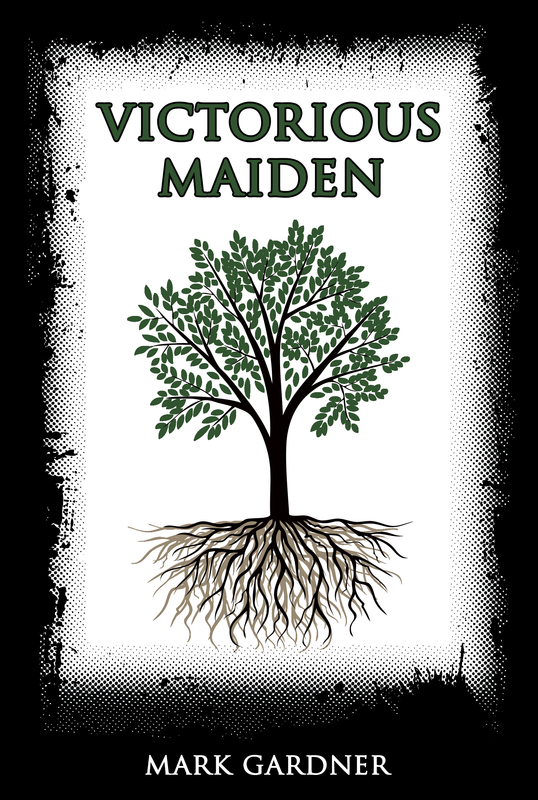 This entry was posted on Sunday, August 31st, 2014 at 10:11	and tagged with Sunday Photo Fiction, Victorious Maiden 3 and posted in fiction. You can follow any responses to this entry through the RSS 2.0 feed. I liked this story. Very sweet.